Larchmont Family Dental always appreciates feedback from our valued patients. To date, we’re thrilled to have collected 10 reviews with an average rating of 5 out of 5 stars. 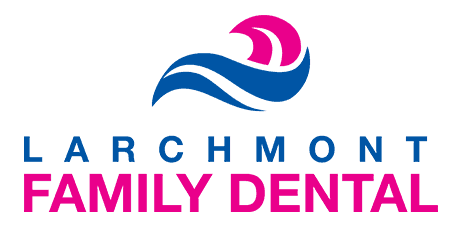 Please read what others are saying about Larchmont Family Dental below, and as always, we would love to collect your feedback. Dr. Malkis restored my trust in dentists. In today's world of greed, even among medical and dental professionals, it is hard to "trust" anyone. Having been traumatized by a dentist many years ago and having severe chemical sensitivities made me fearful of going to a dentist. Adi accommodated me by having a window open in her "dental cleaning room" allowing fresh air to come in to dilute any potential pollutants in the office environment. Dr. Malkis could not have possibly been any more professional, kinder, understanding and caring than he was. My trust has been restored because of this caring dentist and his caring staff. I will be back. Thank you all for being who you are. Adi is an outstanding dental hygienist. She is very personable, professional and thorough. My mouth felt squeaky clean after the cleaning. Everyone at this office truly care about your comfort and well being. This place is great, family oriented, clean and the most important caring. Dr malkis and staff always make sure I received the best quality care and answered all my questions. Thank you! While we were so sad to say goodbye to Dr Grandsire, our experience with Dr. Malkis was wonderful. He explained things thoroughly, was patient, and did not make us feel rushed. Additionally, he took the time to review all of my children’s dental records (many years worth!) before their visits and was as familiar with their history as if he had been providing their dental care all along. Dr. Malkis has shown himself to be ultra responsive to my family's needs, and willing to give help when needed, irrespective of office hours. His follow up is super. Dr. Malkis is the best, He is kind , caring and friendly. Puts you very much at ease. He is an excellent dentist. I have a great fear of dentists, and he has cured that fear. His work is perfect and never a bit of pain or discomfort!! I highly recommend him!! !